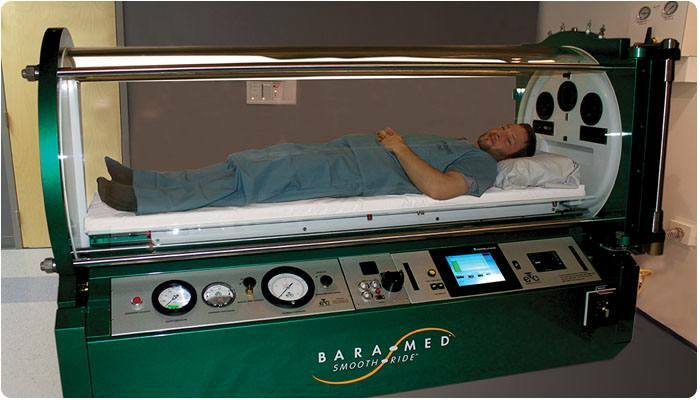 The BARA-MED Monoplace Chamber is one of the latest products to arrive in the line of hyperbaric treatment equipment. 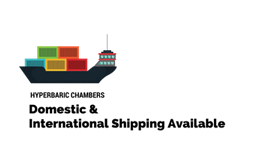 ETC has been a leading figure in the field of hyperbaric treatment care for some time and continues to set the standard for high quality product development and service. They have provided researchers and scientists with the necessary resources to further advance the field of hyperbaric technology for several years. As a key player in the field, ETC continues to serve as the defining model in the industry for ethical business conduct and excellence of service. The BARA-MED Monoplace Chamber stands apart by demonstrating the latest technological advancements in hyperbaric technology to date, providing patients with the highest level of treatment possible. The system was specifically engineered to provide ease of use for hospital clinicians by utilizing several new features such as the Wedge Cushion, Gas selection panel, Hyperbaric pillow and air break system. The BARA-MED Monoplace chamber is equipped with a 500 pound capacity, adjustable height gurney which allows for easy patient transfer from either a standing or sitting position. The Monoplace Hyperbaric Chamber is designed to allow for easy movement between chambers even in small spaces. Interested in learning more about the BARA-MED Monoplace Hyperbaric Chamber or the other new and used hyperbaric systems that we sell? Fill out the contact form below or contact us today to speak with a knowledgeable customer service associate.